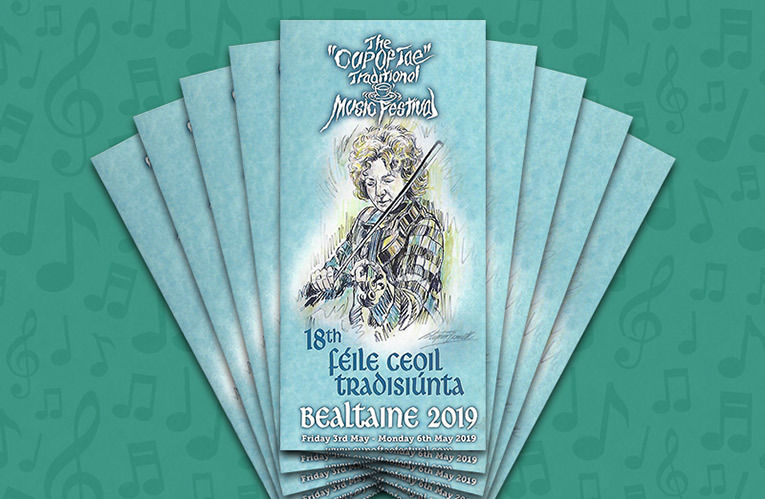 Brochures for the Cup of Tae Traditional Music Festival, which takes place Friday 3rd to Monday 6th May, are now available in local shops and businesses. This year the Festival honours Brid Harper – one of the most acclaimed fiddlers in Ireland, and the Festival promises to be the biggest and best to date, with Workshops, Schools of Music, Concerts, Sessions and Street Music all weekend! 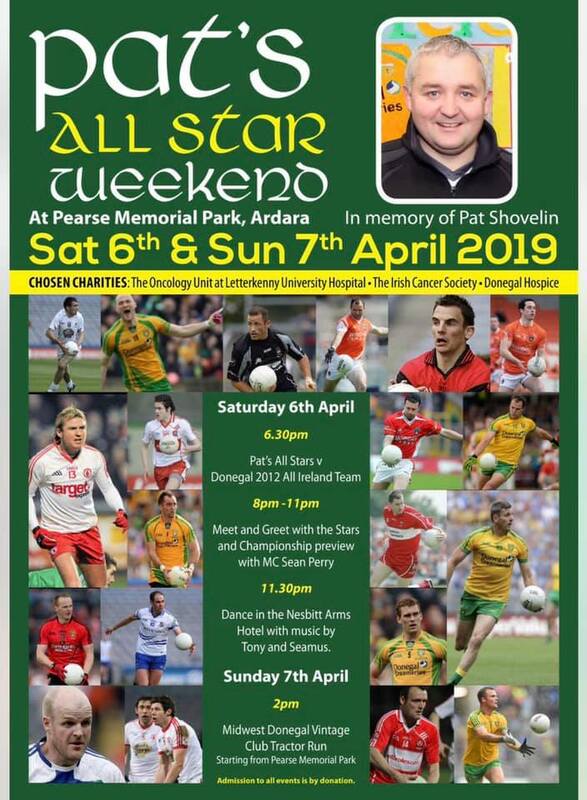 Pat’s All Star Weekend in memory of Pat Shovelin takes place Saturday 6th and Sunday 7th April at Pearse Memorial Park, Ardara. Chosen charities are The Oncology Unit at Letterkenny University Hospital, The Irish Cancer Society, and Donegal Hospice. 2pm – Midwest Donegal Vintage Club Tractor Run. Starting from Pearse Memorial Park. Leaving Pearse memorial park and traveling to Glenties, down through Maas, on to Clooney, turning in at Sharpes cottage, round Loughfad past Pat’s homeplace, out at the chapel in Kilclooney and back to the clubhouse. Sliabh Liag Distillers, producers of An Dúlamán Maritime Gin and Silkie Irish Whisky, have acquired the Show Field in Ardara and are submitting a planning application which will herald the first whiskey distillery in Donegal in over 177 years. 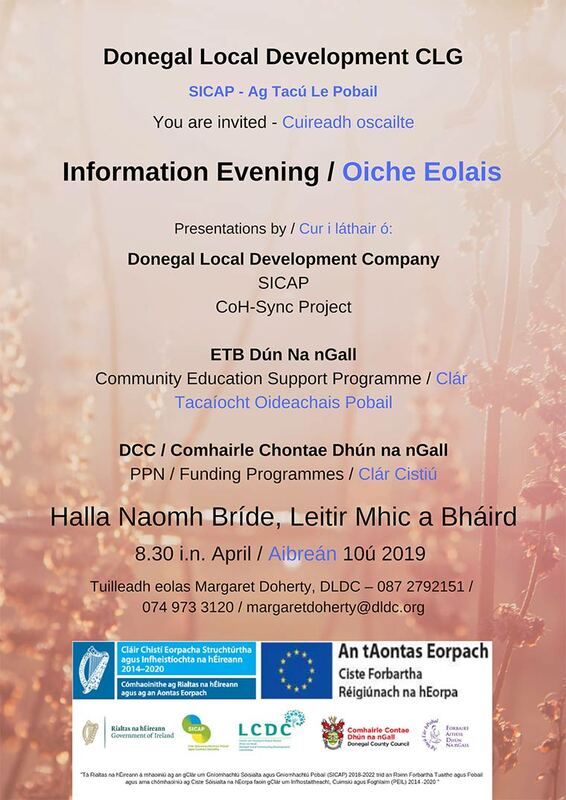 All of those who are interested in the project are invited to meet the directors of Sliabh LIag Distillers and their team in the Nesbitt Arms Hotel this evening Tuesday 2nd April between 5.00pm and 9.00pm. Turn your old clothes and shoes into cash for the Brackey National School “Cash for Clobber” fundraiser. Basket Weaving classes scheduled for 22nd and 23rd of April have been cancelled. Sorry for any disappointment. The Narin Portnoo Rosbeg Community Co-Operative Society Ltd. (Dolmen Centre) have produced a Business Plan for an Adventure Guiding Business in the GAP area. The Co-Operative would like to share this with suitably interested individuals with a view to establishing a business in the area. Open invitation to Local Community Groups in Lettermacaward, Doohary and Fintown areas. There was a great reaction to yesterday’s April Fool’s Day news item, and we would like to reassure anyone who was fooled by the story that the Owenea Standing Stone isn’t going anywhere!